Microsoft Edge is the new name for the web browser that will be integrated in the official launch on Windows 10. Microsoft announced this at Build 2015, thereby putting a seal on the previous code-name “Project Spartan”. The new web browser is expected to have new features like the much enhanced Microsoft’s Cortana digital assistant bundled in it as well as note taking and sharing with digital ink annotation. The refined user interface is boost with a new tab page with the address bar located in the middle of the page. It will also feature the “Top Sites” and other user information. 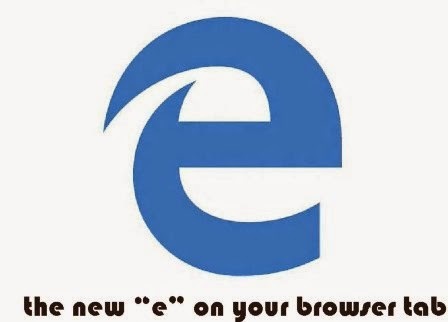 Quite unmistakable is the lowercase “e” which still has traces of the “post Internet Explorer” effect. According to The Verge, “Microsoft has been on a mission to right the wrongs of its web browser” and for Windows 10, it has gone a step further by re-branding the web browser with a new icon, title as well as a brand new engine EdgeHTML.